Druze. A word a lot of people don’t know. It is not a thing but rather a religious group of people. While their religion was created out of Islam, most do not actually consider themselves Muslims. 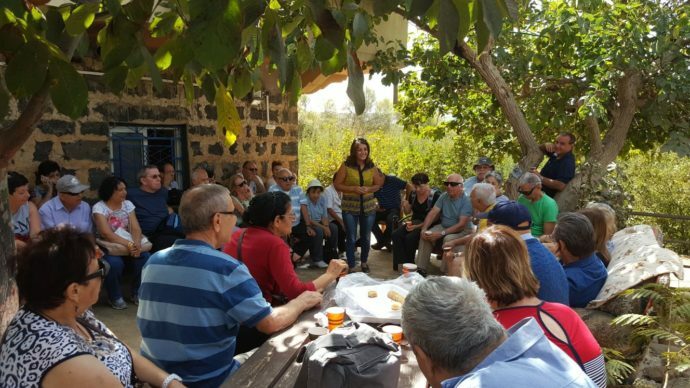 The Druze people play a very important role in Israeli society by serving in the IDF (Israel Defense Forces), the police force, in Israeli politics and public service. 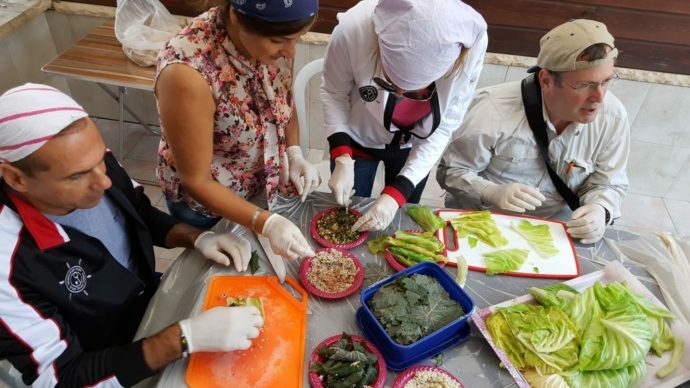 The Druze are generally a very secretive people, but in order to teach people about her community, one woman named, Nasiba, began the Druze Culinary Experience. 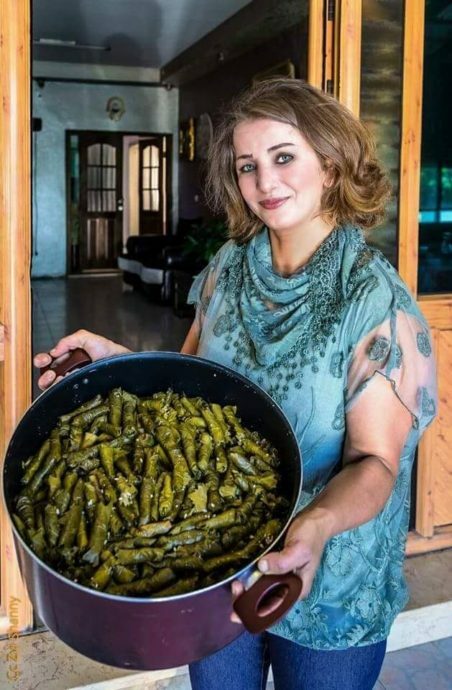 Nasiba invites people into her home located in Buq’ata (Golan Heights) to educate them about the different ethnic foods and the general culture. She is a woman who is breaking through the glass ceiling in the Druze community to raise awareness and share the history of her religion. 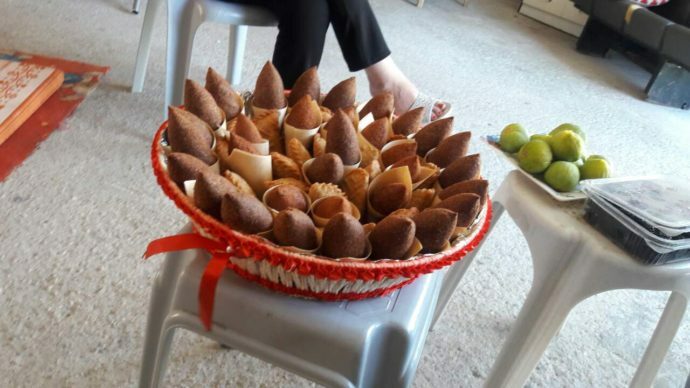 One of the things the Druze are well known for, are their fresh produce that they grown themselves as well as collecting the wild plants around them to use in cooking. Often used in their meals are the delicious grape leaves which are considered a delicacy in many parts of the world. Next we come to the Kibbeh or Kubbeh (spelled either way), which is made out made of bulgur (cracked wheat), minced onions, and finely ground lean beef, lamb or goat with Middle Eastern spices (cinnamon, nutmeg, clove, allspice). After it is stuffed, it is fried until golden brown. After the Kubbeh, we have the Druze stuffed pita. 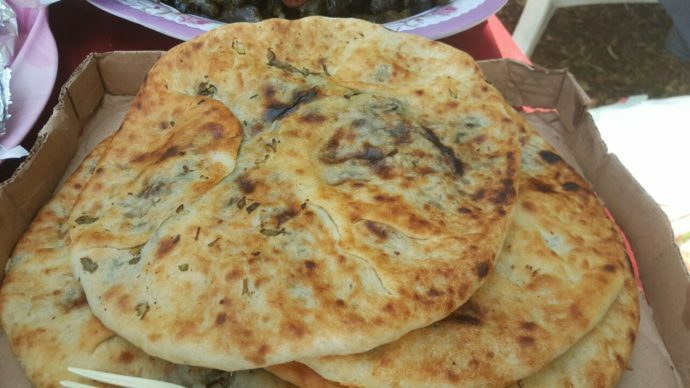 It consists of warm pita bread that is stuffed with wild green leaves and marinated with lemon. 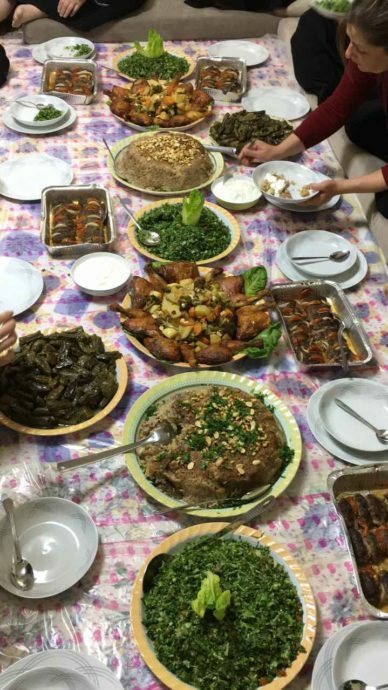 Now you have made a feast fit for a king and you, your family and friends can finally sit down to enjoy all the out of this world Middle Eastern food. An amazing and special woman.